The best time to raise money is when there's an important need or something big happening. 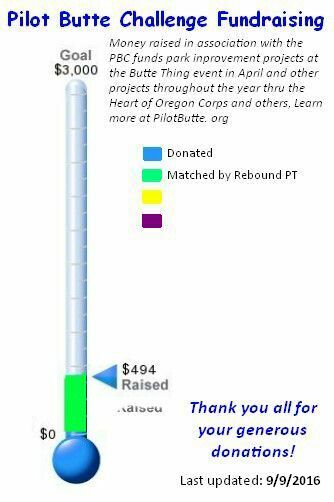 There are so many needs right now at Pilot Butte, you'd think we would be raising money year round. More things need to be in place before that can happen. It should be simple, right? The park system doesn't have the money and money, volunteers, and community involvement is good to go. Just one problem. Oregon State Parks in general aren't really set up for this type of help. They don't have the staff. That sounds bad but it's not. Some would say they're a model of government efficiency. Using mostly visitors fees and lottery funds, they somehow produce a State Park System that is nationally renown. Your tax dollars play almost no role and yet we have amazing/affordable state parks. It's done with lean budgets, minimal staff, etc. It's not like there's no way to help. We've worked with Pilot Butte State Park to find ways to get things done. One is the Butte Thing which was the brainchild of local district manager Ross Kihs. This event focuses a lot of community help during a three week period when park staff are traditionally not as busy as normal. That happens to be around Earth Day which makes the event especially cool. Another thing that fits is contracted work with professionals. The park can usually accommodate that type of help. They just lack the money. It turned out another nonprofit called the Heart of Oregon Corps (HOC) is just a mile away and has a professional trail crew that works at a discount rate. They need contracts. That sounds good but the fact is it's even better. Bottom line is they'll do contracted work in the park in a way that saves even more staff time. It works and initial funding is already in place thanks to a grant from the Langston Family Foundation. The next step is to free up park staff to embrace more community help. There are many ways to do that. One is to make strategic investments in park operations. Staff have less to do. Combine that with good timing and things become possible that might otherwise be impossible. 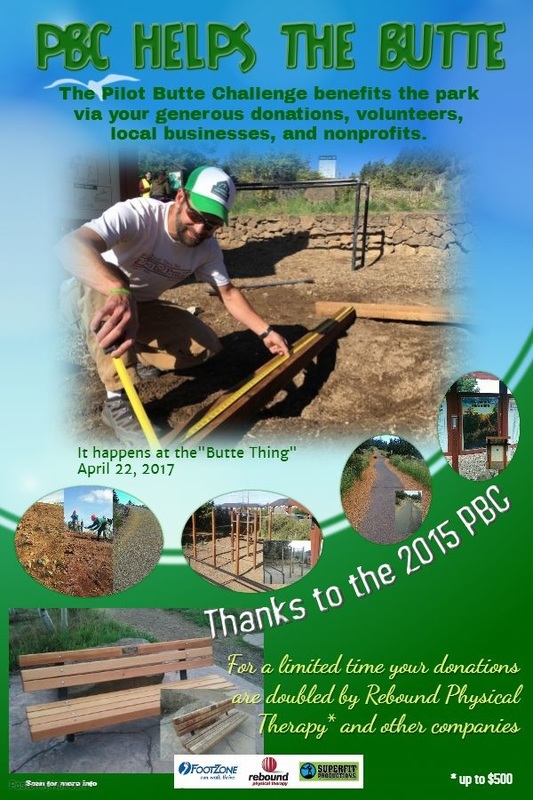 Here's how the historic PBC now does so much to improve and maintain Pilot Butte State Park. As we learn more, become better organized, and integrate new features, the process keeps getting better. Participate at any level and you're helping Pilot Butte. There are hundreds of ways to help. Some are so easy that many do more than one.